Discover ideas cast in a new light, beginning with the Lexus spindle grille and carrying on to distinct, angular lines built on ground-breaking technology. This is a place where we look to the future. The LC Convertible concept builds upon the LC’s athletic lines with the dynamic aesthetic of an open-air convertible. With “ultimate beauty” as its design goal, it stands as an aspirational vehicle for the entire Lexus line-up. 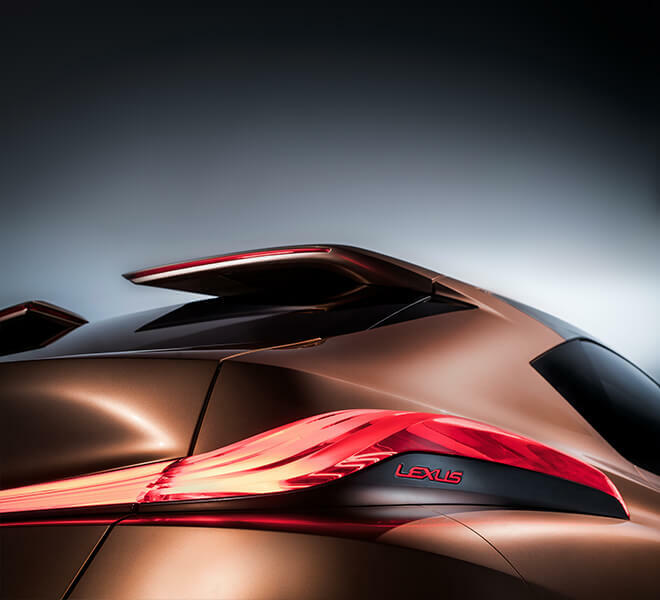 The Lexus LF-1 Limitless is paving the way for the future of luxury crossover vehicles. In the LS+ Concept, automated driving and other cutting-edge features demonstrate how luxury and technology can combine harmoniously in a flagship of the future. The LF-FC houses a high output fuel cell power system, enabling precise torque distribution in all four wheels for outstanding handling and stability. The LF-SA represents luxury distilled. This ultra-compact city vehicle employs lightweight design with exceptional fuel efficiency. Based on the RC series, this 2+2 Roadster and Grand Tourer offers bold design and sport-oriented luxury in an exhilarating open-air format. Learn how luxury and love for the environment co-exist in perfect harmony. Explore the award-winning works of directors as they bring their scripts to life.